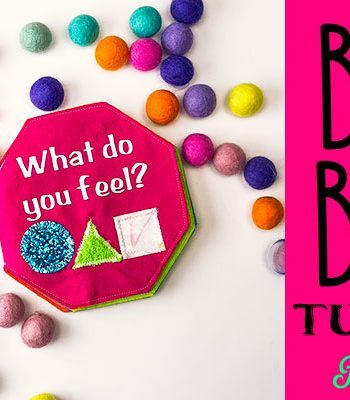 Ideas for your spewing space: Learn How to choose colors for your sewing studio. Why some colors are better than others, what you need to take into account if you’re shooting video and what mistakes to avoid in the process. I love red. I mean I think red is power, passion adventure. Red is my color. So it was only natural that my space have some very strong red in it. I had a red wall. and red damask, red chair, red accessories…. you get the idea. 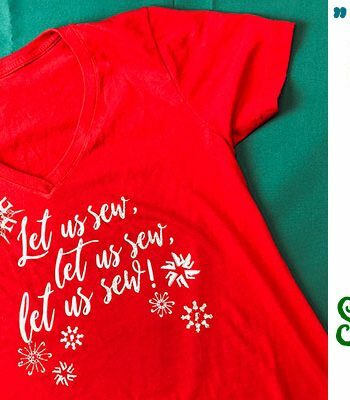 But do you know what red is not good for? Filming in a small space. Red causes color cast. Red forces you to avoid other colors so they don’t clash. Red is picky and let’s be honest red is so out of vogue right now even Target changed it’s sign to white! 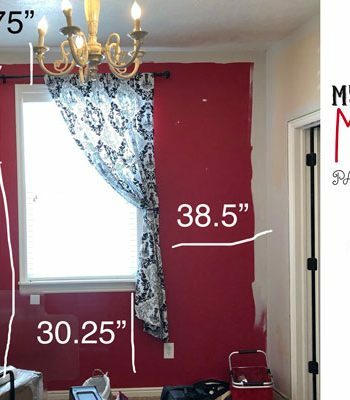 I knew when it came to redoing my space that would be filming friendly, the red (sorry friend) had to go. But what to replace it with? When it comes to a photography studio you’ll find two colors, black and white. Black to absorb light and white to reflect it. Gray is also a friendly color, but a little more complicated to deal with. So naturally I chose gray as one of my colors. Gray is a great color for walls in a studio and a sewing space. Because when you chooses a very neutral gray (one with a little undertone or shift) it makes colors pop, and keeps colors true so when you are coordinating fabrics or shooting a video the gray isn’t messing with how colors appear. I fully admit that I am not a home decor blogger. I don’t keep up on trends and I don’t worry about whatever the color of the year is. 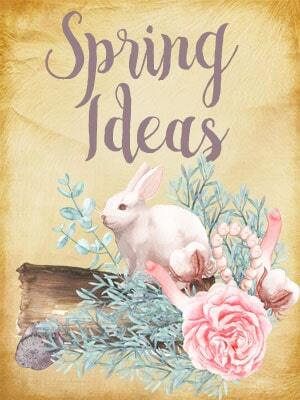 So when it came to figuring out what gray colors to look at I turned to google and fellow bloggers to get some ideas of where to even start. Because there are a GAZILLION gray shades out there and I don’t have time to try every single one. I found out what grays were popular and many blogs also would mention how they “shift” they can look more blue, green, or purple depending on lighting, accents and even the beholder’s eye. 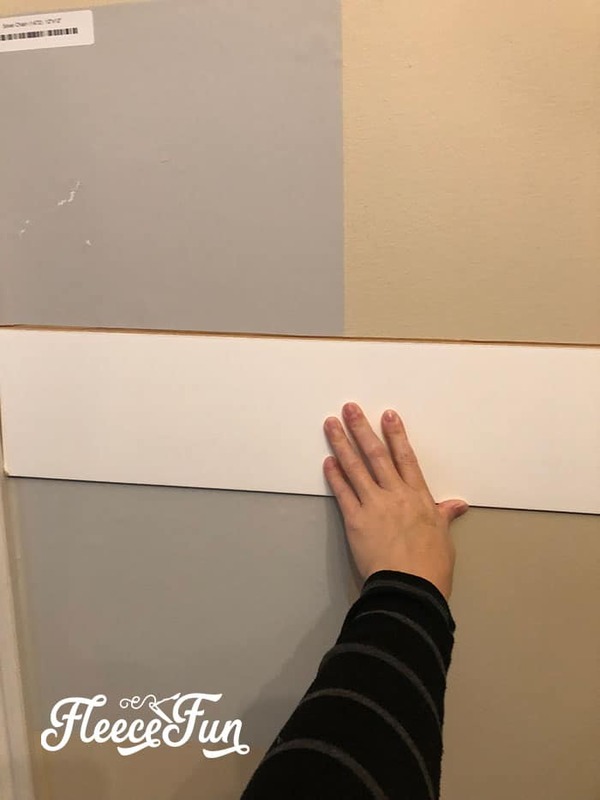 I narrowed it down to a few and thanks to an ad on Pinterest found this paint sample company that sends you flat sticky swatches that can adhere to the wall. So much better (and cheaper) than buying a bunch of samples that you’ll never use up. 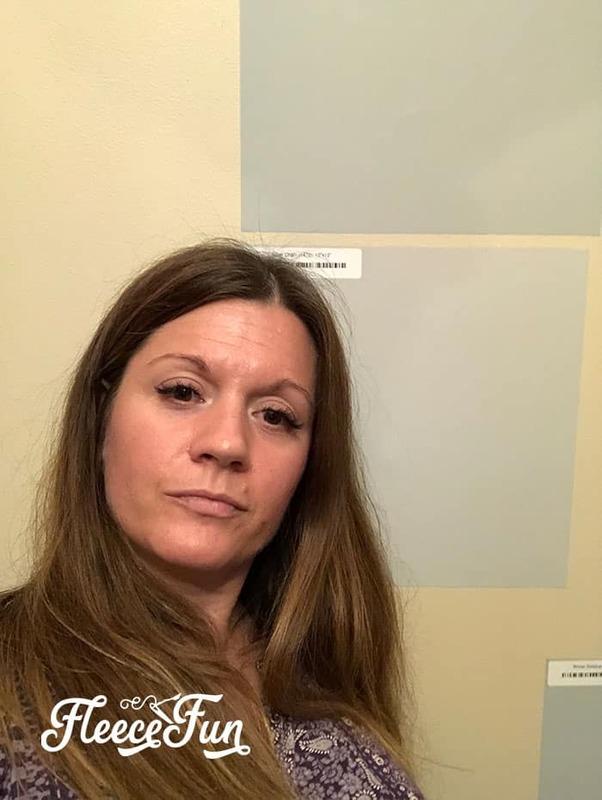 While i was looking at the swatches I was really leaning to Coventry Gray by Benjamin Moore. But the second I held my camera up to it, I hated the color. HATED it. So I took a bunch of pictures, put it next to my trim, pulled it away from my trim. Finally I settled on Silver Chain (which by the way is one the most near neutral grays you can get) at 25%, meaning I had it lighted a bit to keep the room bright. I also recommend that if you’re planning on filming your self that you take a selfie or two next to it (and yes not my most flattering pict, I was tired). 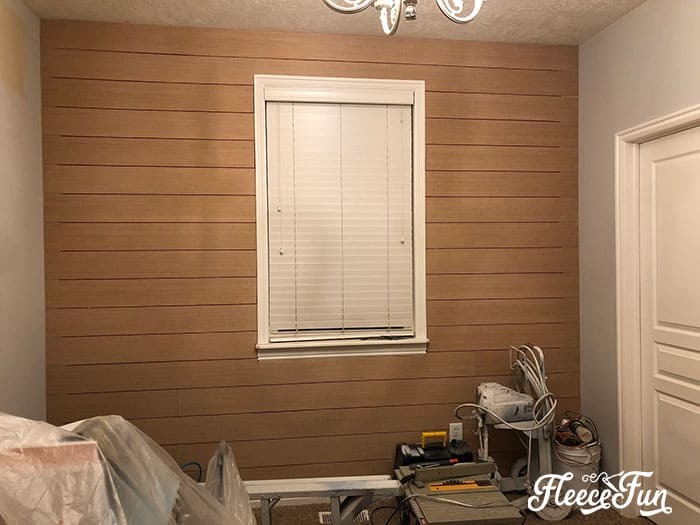 I knew I wanted the walls on each end of my room to be white – to reflect light and brightness. 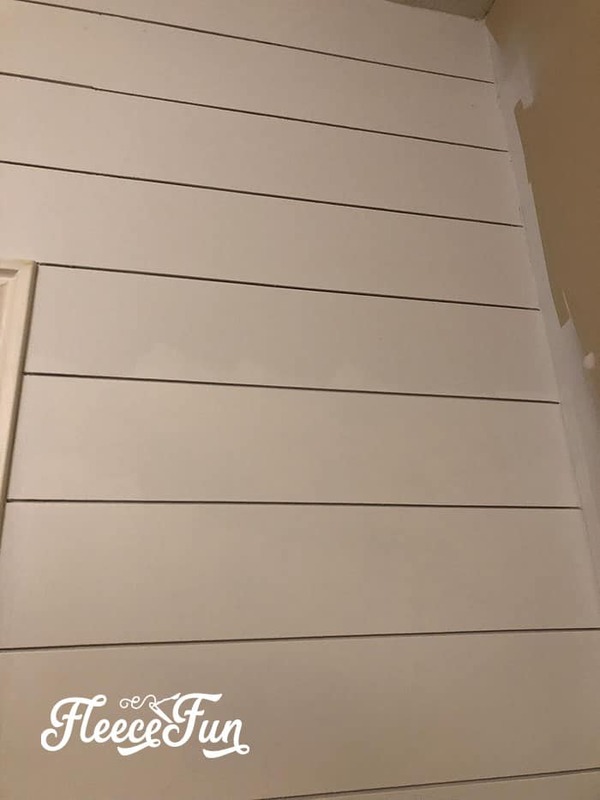 I did not want them to be just plain white, as that would make them flat and boring, so I opted for shiplap on them to keep them interesting, but still have a clean look. I love how this classic look keeps the wall insetting but very simple and gives the white brightness that I wanted. Sometimes colors that are “in” or highly recommended aren’t going to be your cup of tea. 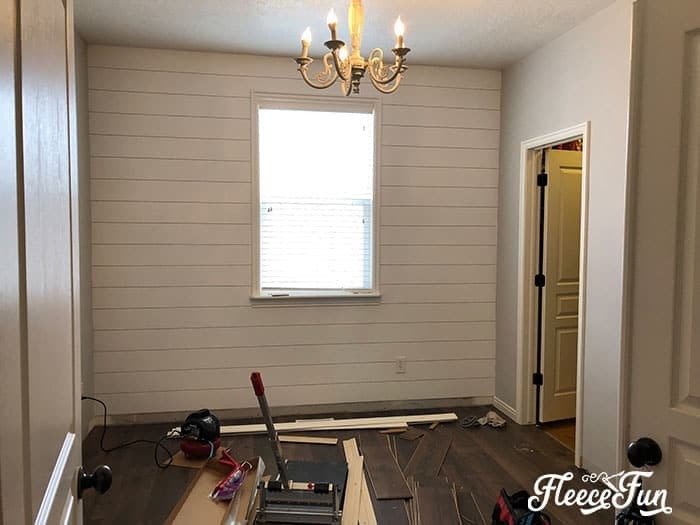 I made a huge color mistake with my shiplap walls. I was pressed for time and instead of looking at the colors and doing proper research I just went with a white that several sites recommended that went well with gray. 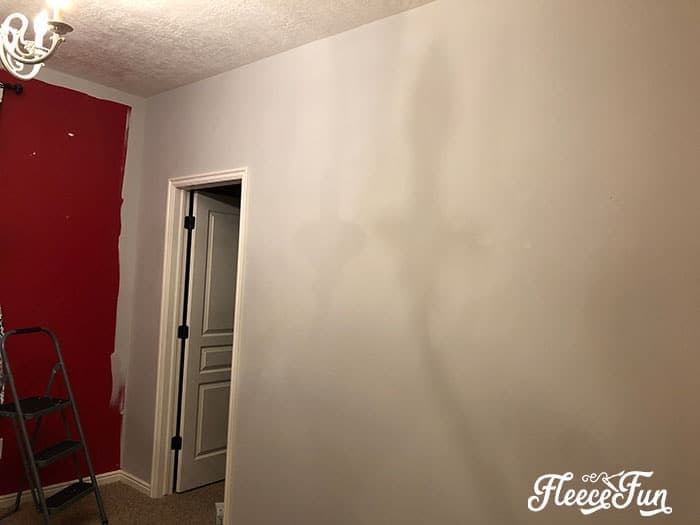 “Decorator Gray” it is and bought a good amount of the paint for my walls. HUGE MISTAKE. First of all it shifts blue …. badly. By the time the walls were painted they looked ice white (like I was living in Elsa’s ice castle). The white also clashed horribly with my trim, making it look yellow against it. 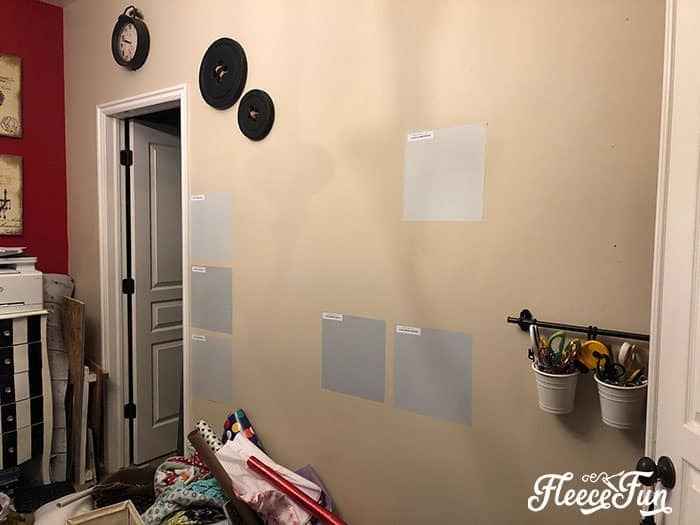 I had to repaint the walls with a warmer white, which fixed the problem, but I could have saved myself a lot of money and energy if I had just looked at and tried a few samples first. 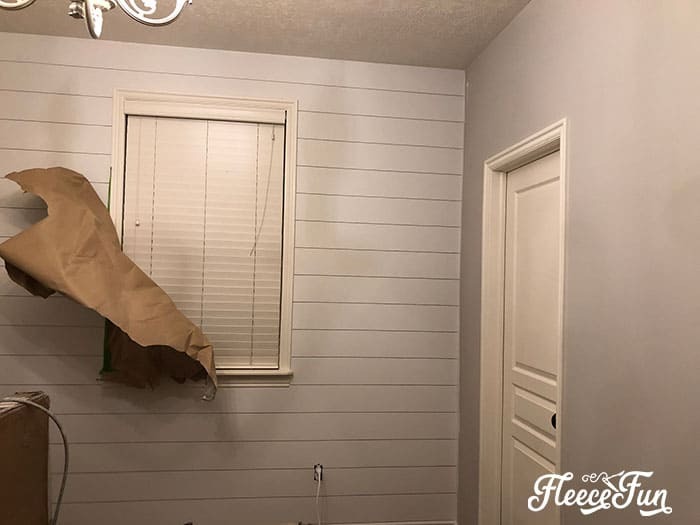 It turns out “Simply White” was a much better choice for my walls and trim. I really should trust on my instincts and what I see in the room, vs. some random blog. I’m really happy how the new paint looks in my room. It’s bright, neutral, but not cold. I love how the color decor pops against it and it looks great on camera! 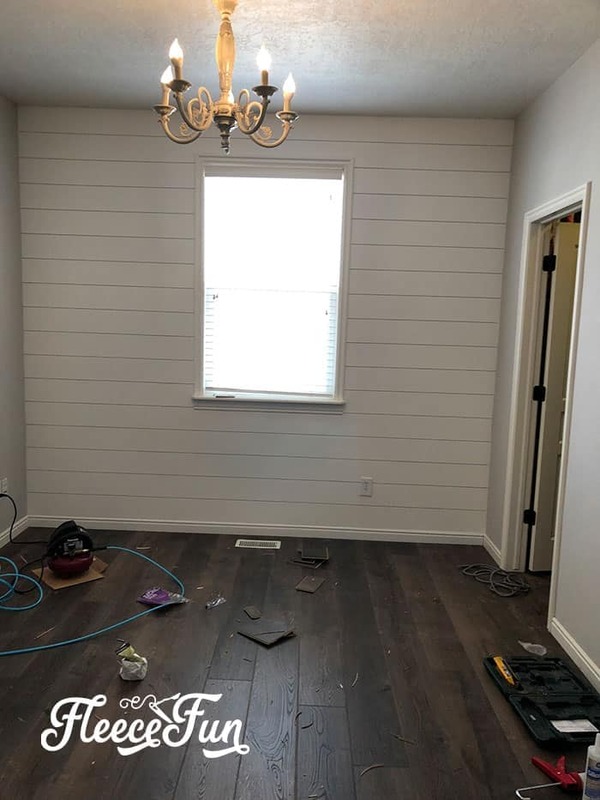 Now that I have the walls figured out it’s onto flooring. I went to my local Lowes to pick out new flooring. I knew that I wanted laminate since pins hide too easily in carpet and I wanted flooring that was more conducive to setting up tripods on etc. 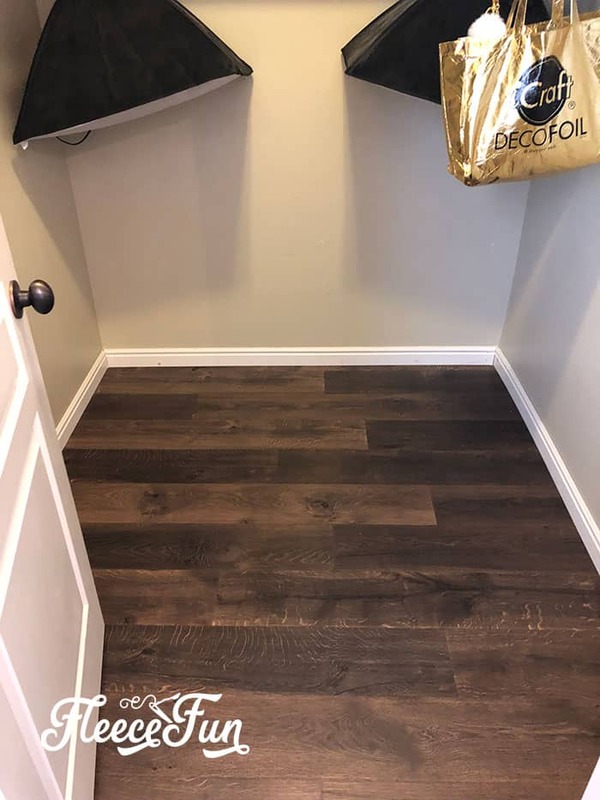 I didn’t want to feel like I was in a white box, so I chose a flooring that was darker than the walls, and had some richness to it. I also wanted a flooring that looked like it was from “that year” that was too trending. My tastes run more to the classic/ traditional side. I found a nice wide plank laminate that had some nice variation and a hand scraped look to it. I had Lowes do the install (While I like to craft I don’t have the tools for that kind of job) and it was easy! This is the tideiest this closet has ever been. Although I have to tell you even after going through and organizing my stash, getting everything off the floor was a massive pain, my studio/ business was all over the house and that drove me crazy. I have my walls and the floor. 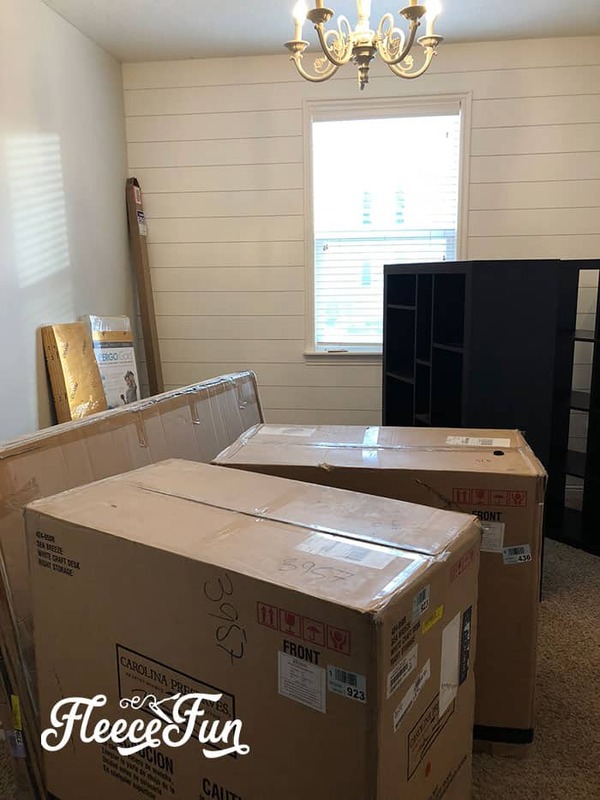 Now it’s time to figure out some furniture. 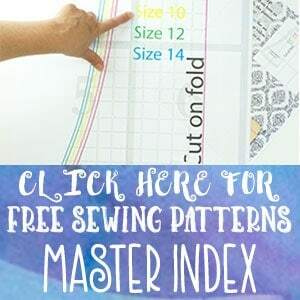 Looking for more sewing room ideas – you’ll love this courtesy of Diary of a Quilter.